Diclogesic RR 75 mg Injection is used for pain relief. Diclogesic RR 75 mg Injection is a non-steroidal anti-inflammatory drugs (NSAID). It works by blocking the release of certain chemical messengers that cause pain and inflammation (redness and swelling). It is unsafe to consume alcohol with Diclogesic RR 75 mg Injection. Taking diclofenac with alcohol can increase your risk of stomach bleeding. Diclogesic RR 75 mg Injection is unsafe to use during pregnancy. Diclogesic RR 75 mg Injection is probably safe to use during lactation. Limited human data suggests that the drug does not represent a significant risk to the baby. Diclogesic RR 75 mg Injection may cause headaches, blurred vision, dizziness or drowsiness in some patients. This may affect your ability to drive. Diclogesic RR 75 mg Injection should be used with caution in patients with kidney disease. Dose adjustment of Diclogesic RR 75 mg Injection may be needed. Please consult your doctor. Diclogesic RR 75 mg Injection should be used with caution in patients with liver disease. Dose adjustment of Diclogesic RR 75 mg Injection may be needed. Please consult your doctor. Regular monitoring of liver function tests is recommended in patients with liver disease if this medicine is to be taken for a long time. You have been prescribed Diclogesic RR 75 mg Injection to relieve pain and inflammation. Avoid consuming alcohol while taking Diclogesic RR 75 mg Injection as it can cause excessive drowsiness and increase your risk of stomach problems. I had an operation 2days back, in which my infected left cheek bone was removed, along with a tooth. The doctor prescribed Combiflam 100mg for the paint however, it is still paining a lot. Can I opt for stronger pain killers? Dear the medicine by name Primolut is it worth while medicine for postponement of periods for a while and any side effects regarding this in future? PLEASE EXPLAIN? Hi RR. 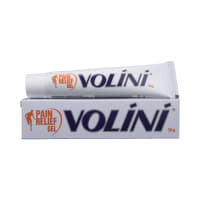 Primolut can be taken to postpone periods. No problem. Side effects can be nausea, vomiting, feeling bloated, dizziness etc. Do you have any questions related to Diclogesic RR 75 mg Injection? What were the side-effects while using Diclogesic RR 75 mg Injection? What are you using Diclogesic RR Injection for? Q. Is diclofenac topical a blood thinner / controlled substance? Diclofenac is a pain relieving medication and it does not significantly affect the function of platelets in blood; hence it is not a blood thinner. It is not a controlled substance as it does not have the potential for abuse or addiction. Q. Can I use Diclogesic RR along with vitamins? Yes, Diclogesic RR can be taken with vitamins. No drug-drug interactions or any harmful effects have been reported when they are used together. Q. Can Diclogesic RR be used for the treatment of hepatitis? No, Diclogesic RR is not approved for the treatment of hepatitis. Hepatitis is a condition where the liver is inflamed. Diclogesic RR can, in fact, cause harm to the liver as a side effect. Q. Can Diclogesic RR be used after C-section? Yes, Diclogesic RR is a pain killer. C-section is the short name for Cesarean Section which is an operative procedure to deliver the baby through the mother's abdomen and uterus. 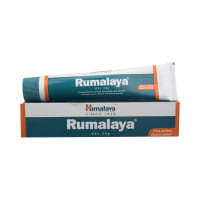 Diclogesic RR can be used to treat the pain that may occur after the operation. Q. Can I use Diclogesic RR for the treatment of arthritis? Yes, Diclogesic RR is commonly used for the treatment of pain in osteoarthritis, rheumatoid arthritis, and spondylitis.It belongs to the class of drugs called non-steroidal anti-inflammatory drugs (NSAIDs). .
Q. Can I take Diclogesic RR along with misoprostol? Yes. It can be taken together. Misoprostol protects the stomach from irritating gastric effects of Diclogesic RR. The combination of medication is used to treat arthritis in patients at high risk of getting stomach/intestinal ulcers and complications from the ulcers (such as bleeding). Q. Can I take Diclogesic RR while I am on thyroxine? Yes, Diclogesic RR can be taken with thyroxine. No drug-drug interactions or any harmful effects have been reported when they are used together. Q. Can I use Diclogesic RR with diuretics? No, Diclogesic RR should not be used with diuretics. Diclogesic RR reduces the natriuretic effect of furosemide and thiazides diuretics in some patients. This response has been attributed to inhibition of renal prostaglandin synthesis. Q. Is Diclogesic RR a narcotic? No, Diclogesic RR is not a narcotic. Narcotics are drugs with sleep inducing properties, usual derivatives of Opium like Heroin and Morphine. Q. Can Diclogesic RR be used along with warfarin? No. Using Diclogesic RR together with warfarin can increase the risk of serious bleeding from the stomach (Higher than users of either drug alone). Inform your doctor before starting these medications. Q. Why does Diclogesic RR cause an ulcer? Diclogesic RR can cause damage to the lining cells of the stomach by several mechanisms, including the irritant effect on the cells, breaking of the protective barrier properties of lining cells, suppression of prostaglandin production of the stomach, reduction of stomach mucosal blood flow and interference with the repair of superficial injury of the stomach lining. Q. Why is Diclogesic RR contraindicated in asthma? Q. Is Diclogesic RR a painkiller? Yes. Diclogesic RR is a pain killer. In fact, it belongs to the class of drugs called non-steroidal anti-inflammatory drugs (NSAIDs). 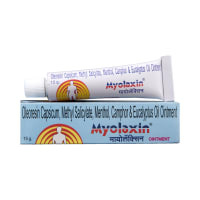 It is commonly used for the treatment of pain in osteoarthritis, rheumatoid arthritis and spondylitis. Q. Is Diclogesic RR good for back pain? Yes, Diclogesic RR has been found to be effective to reduce back pain. 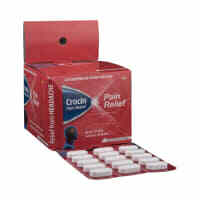 Diclogesic RR is a pain killer that belongs to the NSAIDs (Non-Steroidal Anti-Inflammatory) class. Other NSAIDs have also been found to be useful in back pain eg. Ibuprofen and Naproxen. Q. Why Diclogesic RR should be stopped before surgery? Since Diclogesic RR has been shown to have blood thinning effects, it can increase the risk of bleeding. Therefore, it is stopped before surgery to prevent excessive loss of blood. Q. Can I use Diclogesic RR during my fever treatment? Yes, Diclogesic RR can reduce fever. However, commonly used to reduce the pain, particularly that which is seen with Osteoarthritis, Rheumatoid Arthritis and Ankylosing spondylitis. Q. Can I use Diclogesic RR to treat a sore throat? Sore throat is mostly caused by bacteria so antibiotics are given to treat a sore throat whereas Diclogesic RR is a pain killer so it can be given in cases of throat pain associated with it but only under the prescription of a doctor. Q. What are the contraindications for Diclogesic RR? Diclogesic RR should not be used if there is an allergic reaction (hypersensitivity) to it, or other pain killers, active ulcer in the stomach, bleeding from the stomach, history of severe heart failure, liver failure, kidney failure and or heart attack. Q. Can I use Diclogesic RR to treat urinary tract infections (UTI)? Diclogesic RR can be used to treat the pain associated with urinary tract infection (UTI) but for complete treatment, a course of antibiotics will be required. Q. Can Diclogesic RR cause sedation? Diclogesic RR is not known to cause sedation. There have been rare, an isolated case report of sedation with the drug. Q. Can I take Diclogesic RR for kidney stones? Yes,Diclogesic RR can be used to relieve the pain due to kidney stones. However, there is also a risk of kidney damage with Diclogesic RR as its side effect. It is advised not to take Diclogesic RR for a prolonged time for this condition without adequate monitoring. Q. Can I use Diclogesic RR with mifepristone? These drugs should not be used together as the effect of mifepristone may be lowered by Diclogesic RR. Mifepristone is used for medical abortion. Q. Can I use Diclogesic RR with lithium? No.These drugs should not be used together as Diclogesic RR increases the blood levels of lithium which may further increase the side effects. Q. Can Diclogesic RR affect the chance of conceiving? Yes. Diclogesic RR can sometime cause reversible infertility. Diclogesic RR by its mechanism of action, may delay or prevent rupture of ovarian follicles, which has been associated with reversible infertility in some women. Consult your doctor before starting this medication. A licensed pharmacy from your nearest location will deliver Diclogesic RR 75mg Injection. Once the pharmacy accepts your order, the details of the pharmacy will be shared with you. Acceptance of your order is based on the validity of your prescription and the availability of this medicine.